Northern Thailand is well known of all kind of handicrafts, especially ceramics, textiles and jewelry. I took these pictures last March in one silver shop in Chiang Mai. It was great to follow the work of this silversmith in this shop. Click any picture below to open the gallery. Gallery | This entry was posted in Photo, photography, Thailand, Travel, Valokuvaus and tagged Chiang Mai, handicraft, silver, silversmith. Bookmark the permalink. I am not a silversmith but I’ve had the chance to do a bit of it myself. Through this I have grown to respect smiths ever more. 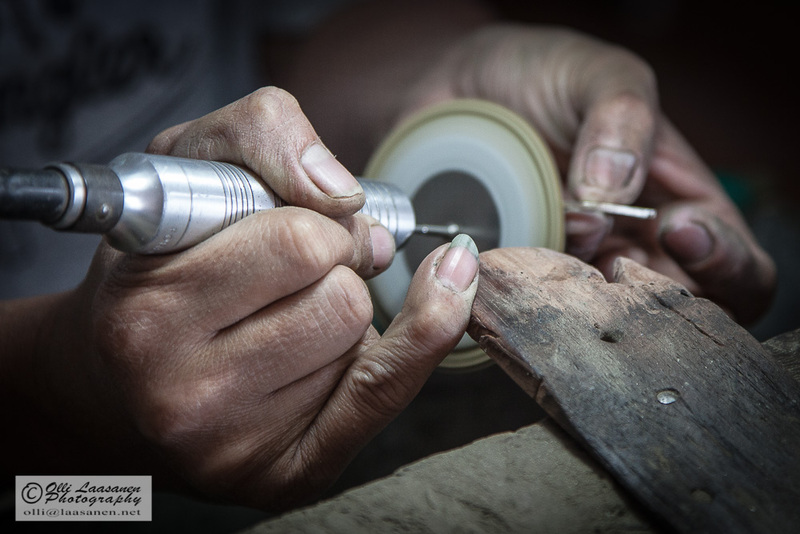 This post has a few amazing shots of silversmiths in Thailand. You can see the strain this profession takes on their hands. I love Thai silver and maybe someday I might have the chance to see these artisans in action!